There is mold everywhere. It’s in the air you breathe, the office you work in, and the comfort of your living room. You cannot escape mold spores, to some extent. Without the right conditions, however, these spores cannot settle and begin to grow. It is that growth that truly causes harmful mold exposure in most people. 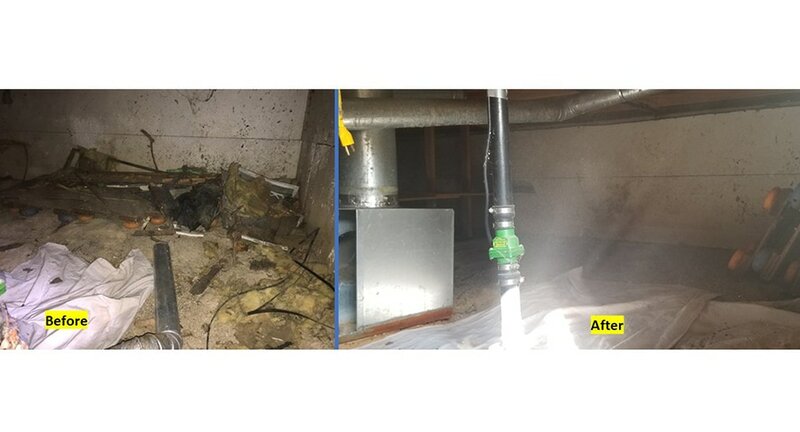 Many homes experience severe mold growth, especially after serious water damage. That’s when heavy-duty mold remediation comes into play. The mold spores released from a household infestation can cause serious illnesses among family members. Mold spores tend to ignite allergic reactions in those with sensitivities to mold. For everyone else, short and longterm mold exposure often causes symptoms similar to that of the common cold or flu. You may notice sneezing, coughing, itchy eyes, skin rashes, a sore throat, and even the occasional respiratory disease. When it comes to mold in the home, most homeowners are keen to save some money and tackle the growth themselves. However, they are often ill-equipped to handle the situation. They may even end up spreading the mold further by disturbing the spores. Let a professional team of mold remediation experts tackle the job. Not only will they eliminate the obvious mold problem for good, but they will also assess your home for signs of hidden mold growth that you might not have noticed. 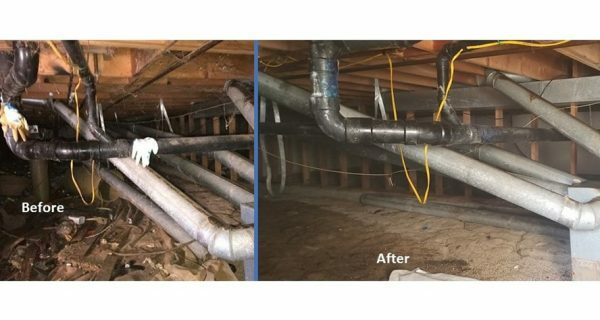 Often, mold will hide in the ductwork, in the air handling unit, underneath wallpaper, and even in the crawlspace or basement. 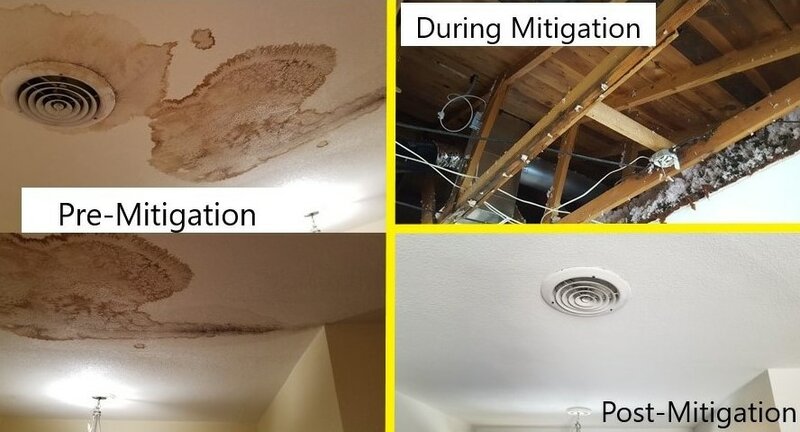 When the mold infestation is not handled properly or in a timely manner, the chance of regrowth is always a possibility. Spores hide in the furniture or air ducts, where they eventually spread into other rooms or behind the walls. Professional mold remediation, in its final stages, also includes prevention techniques. Once all mold is removed, experts will address any underlying causes of the mold (moisture, humidity, and ventilation concerns). These can all be tackled to prevent mold from regrowing in the house. As soon as you spot mold in your home or business, you should call a professional. 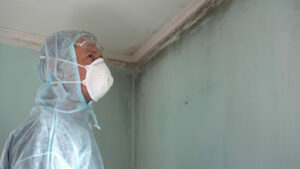 Mold experts from Restoration 1 are trained and equipped to tackle all types of mold. There are many unique types of fungus, and only a knowledgable expert can accurately assess each one. Schedule 24-hour mold remediation from a Restoration 1 near you. Check out our comprehensive location guide for local offices that offer mold remediation in your area. Feel free to call your nearest Restoration 1 at any time; each location is available for 24-hour cleanup and restoration services.